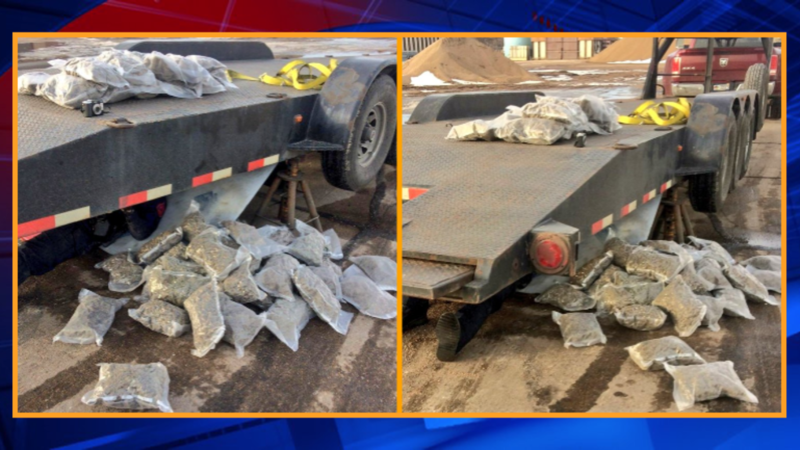 $366,000 worth of marijuana fell on a highway in Nebraska according to FOX 42. The incident happened around 3 p.m. near Odessa when a package fell from a flatbed that was being pulled by a Dodge Ram. A trooper found the vehicle and recovered the package which was high-grade marijuana. They conducted a search hand for 122 pounds of marijuana. The driver and passenger were arrested for possession of more than one pound of marijuana and intent to deliver.